What Makes a Species Invasive? This spring, we’re on the lookout for two priority forest pests; hemlock woolly adelgid and oak wilt! Hemlock woolly adelgid (HWA) is native to Asia, and was first detected in eastern North America in the 1950’s. This invader attacks native hemlock species, which are commonly found in Ontario forests and urban spaces. Look for white, cotton-like or woolly masses forming on the base of hemlock needles. To learn more about the hemlock woolly adelgid, visit the species profile. Oak wilt is a vascular disease of oak trees caused by the fungus Bretziella fagacearum. The fungus grows on the outer sapwood of oak trees restricting the flow of water and nutrients through the tree. Oak wilt has spread throughout the Eastern United States. In 2016, it was confirmed on Belle Isle in Michigan, in the middle of the Detroit River, 579 metres from the shores of Windsor, Ontario. Visit the species profile to learn more about oak wilt. If you see signs and symptoms of either of these forest pests in Ontario, please report the sighting to the CFIA or EDDMapS Ontario. And follow along on Twitter and Facebook from March 4th to 15th for more info on these invasive species! Want to stay up to date with the latest invasive species news? Subscribe to the Invasive Species Centre media scan for biweekly updates right to your inbox! Jan. 2, 2019 – Removal of ash trees to begin in Northumberland County. Tree removal will be done in all seven municipalities which make up Northumberland County over the next 10 years. Dec. 27, 2018 – A battle waged against invasive species in Michigan. 31 grant projects — including a handful here in the Eastern Upper Peninsula — will share $3.6 million in funding through the Michigan Invasive Species Grant Program (MISGP). Dec. 26, 2018 – Mountain pine beetle numbers are dropping in the Grand Prairie forest region. While around 42,000 infected trees had to be removed in the forest area for 2016, the number dropped to 18,000 in 2017 and to less than 8,000 in 2018, Alberta Agriculture and Forestry reported. Dec. 24, 2018 – Spread of invasive species in Canada costs billions. Experts say the plight of the spotted frog is one of many examples of how invasive species can overtake an area, squeeze out existing plants or animals, create a lasting scar on the landscape and impose huge costs on the Canadian economy. Dec. 24, 2018 – Phragmites invading Peterborough. Phragmites thrives in disturbed habitats because the open soil allows this plant to take over quickly. In Peterborough, this is a concern because of a proposed development site near Trent University. December 12, 2018 – Scientists in Halifax are urging the public to keep an eye out for woodpecker activity in hopes to prevent emerald ash borer outbreaks. As a natural mortality agent, woodpeckers may be in indicator of an infestation, as they feed on emerald ash borer larvae. In some cases, they can consume up to eighty-five percent of the larvae in a single tree. With recent findings of emerald ash borer in Nova Scotia, hopes are to develop preventative actions and ways to determine if there is an infestation before it’s too late to treat the tree. December 12, 2018 – Hawaii governor, David Ige, plans to build a multi-million dollar biocontrol facility for invasive species management. Biocontrol is the practice of introducing a predator to reduce the populations of invaders. The use of biocontrol can limit the use of chemicals in pest control, which can come with their own complications. Hawaii has seen biocontrol successes in the past, with over 200 predator introductions in the past century. Gov. Ige envisions the new facility being a centre for research and development in invasive species management. December 5, 2018 – Red Cross Donates to Invasive Species Program. More than a year after the Elephant Hill wildfire devastated the Kamloops, BC region, the Red Cross has donated $1 million dollars to assist in preventing the spread of invasive species in the area. Forest fires are a significant disturbance to the ecosystems that they spread through. This disturbance can act as an opportunity for invasive species to dominate the region, due to changes in resource availability, reduced competition with native species, and altered environmental conditions (i.e. light, water availability, etc.). This generous donation will go towards a three-year invasive plant treatment and prevention program, slated to begin in early 2019. Decemberr 3, 2018 – Black ash listed as threatened. The Committee on the Status of Endangered Wildlife in Canada (COSEWIC) released its most recent report on the status of endangered species in Canada. COSEWIC assessments are used as consideration for changes to the Canadian Species at Risk Act (SARA), which provides best practices and policy for the protection of species in Canada. At their most recent meeting, 36 species were assessed, with 32 determined to be at risk. One of those species is the black ash, indicated by COSEWIC Chair Dr. John Reynolds to be an important component of both Canadian ecosystems and cultural and biological heritage. 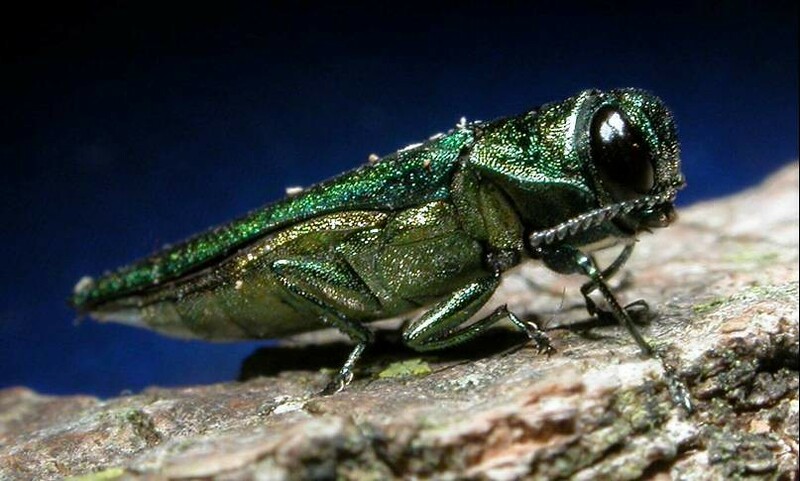 In under two decades, the Emerald Ash Borer has done extensive damage to the Canadian ash tree population, with many city parks already stripped of their ash trees. The loss of the black ash would not only be of economic detriment, removing an important Canadian lumber source, but would also disturb ecosystems and urban environments. The loss of ash trees alters the microclimate of forests, allowing the invasion of exotic plants, decreasing biodiversity of herbivores and increasing soil erosion. Urban environments also benefit from ash trees and tree diversity. They increase property value, provide habitat for urban wildlife, and allow for wind break, temperature and pollution mitigation, and runoff prevention. Listing the black ash as a threatened species means that it is “likely to become endangered if nothing is done to reverse the factors leading to its extirpation or extinction.” This listing makes it more important than ever to control and reduce the spread of the Emerald Ash Borer and other forest invasives to protect the future of Canada’s remaining ash population. July 15, 2016 - On June 27, 2016, the presence of European cherry fruit fly (Rhagoletis cerasi) was confirmed in an urban park in Mississauga, Ontario. This marks the first confirmed detection of this potentially destructive invasive insect in North America. Read more here. June 30 2016 - Emerald ash borer (EAB) has been confirmed in Thunder Bay Ontario. This marks the first time the insect has been detected outside of the regulated area in the province. Effective immediately, the CFIA is restricting movement of all ash material such as logs, branches, and wood chips, as well as all species of firewood from the affected site. Help stop the spread of this invasive insect. Don’t move firewood – buy it where you burn it. For more stories, visit the newsroom. Invasive Species Awareness Week is Feb. 21-27 2016! and the Invasive Species Centre, along with Forests Ontario and the Ontario Invasive Plant Council are ready to celebrate! In honour of being invasive species aware, we want youth to think about what to do when you spot an invader. Grade 4 - 8 classes across Ontario can take part for a chance to win great prizes! Download the digital package here. Download the Submission Template here. Beech Bark Disease Workshop - This September, the Invasive Species Centre hosted a professionals’ workshop in Huntsville Ontario to highlight beech bark disease (BBD). Discussions and presentations held at this workshop will contribute to an Ontario focused beech bark disease best management practices (BMP) guide, currently under development. This workshop initiated collaboration between international experts on beech bark disease from academia, industry, and government. Participants from Ontario, Quebec, New York, and Michigan were in attendance. Dr. Ralph Nyland (SUNY) describing the impacts of beech bark disease at the September 2015 workshop in Huntsville Ontario, hosted by the Invasive Species Centre. Photo by Sebastien Meunier, Quebec MFFP. September 16, 2015 - Invasive Hemlock Pest Found at More Sites in West Michigan. The hemlock woolly adelgid had been confirmed in Ottawa and Muskegon counties in Michigan. Read the press release here. September 20 to 26, 2015 is National Forest Week. This year's theme is "wildland fire". For this year's forest week, the Invasive Species Centre and Forest Invasives would like to provide some facts about the relationship between wildfires and Mountain Pine Beetle. Check out Mountain Pine Beetle Fire Facts! August 9, 2015 - Parasitoid wasps released to fight emerald ash borer. After an extensive environment assessment and review process, two species of exotic parasitoids are being released in Ontario and Quebec for classical biological control of emerald ash borer. These include a larval parasitoid (Tetrastichus planipennisi), and an egg parasitoid (Oobius agrili). This work is partially funded by the Invasive Species Centre. Read more here. May 28, 2015 - Peterborough residents' ash trees get help from Canada pilot project. Tree Canada has launched an initiative in Peterborough, Ontario to assist in the treatment of private homeowners’ ash trees in conjunction with the city of Peterborough’s treatment plan for their public trees. This will significantly reduce the cost to treat ash trees by as much as 50%. For more information on the program, click here. If you live in Peterborough and would like to be a part of the program, download the application form here. May 12, 2015 - Asian Longhorned Beetle found in Chinese stoneware packaging in Finland. This is the first interception of this threatening invasive insect in the country of Finland. Read more. Learn more about the Asian Longhorned Beetle here. Register for EDRR Ontario Open Houses! Do you want to help slow the spread of invasive species and reduce their impacts in your community? Registration is now open for FREE open house events in Sault Ste. Marie, Thunder Bay, and Halton Hills. Come learn more about the Early Detection & Rapid Response Network Ontario project and how you can get involved! Register here. Ontario Biodiversity Summit May 19-22, 2015. Ontario's first ever biodiversity summit is taking place May 2015 in Niagara Falls! Join hundreds of participants to learn about the state of biodiversity in the province. On Thursday May 21st, register for the Bio-controls: Introducing enemies workshop to get a closer look at bio-control as a tool to combat invasive species! December 4, 2014 - The Spotted Lanternfly: A threat to Ontario? The spotted lanternfly is a native insect to parts of Asia, and was first detected in North America in Pennsylvania (September 2014). This insect threatens a range of species including the Tree of Heaven, and various fruit trees. Read more at entomologytoday.org. October 10, 2014 - Is the Emerald Ash Borer Switching Hosts? Recent research suggests that the emerald ash borer, an invasive forest pest destroying millions of ash trees across North America, is now attacking a new species of tree; the white Fringetree (Chionanthus virginicus). Professor Don Cipollini of Wright State University in Ohio discusses the potential impacts of this discovery. Read more. October 15, 2014 - Genomic Tools for Invasive Species. Natural Resources Canada, with Genome British Columbia, is developing exciting ways to implement genomic tools into invasive species detection and identification. The ability to rapidly and accurately identify an invasive pest, whether as an adult or an egg, a fragment or a full specimen, will allow for early detection and rapid response to control and eradicate an invasive pest before it has a chance to become established in Canada. This innovative technology is currently being developed for identification of Asian gypsy moth and sudden oak death in British Columbia. Read more. Developed by the Invasive Species Centre, Forest Invasives Canada provides information and news on invasive insects, pathogens, and plants in Canada's forests. This site examines the science behind invasive species in Canada, connects visitors to the most recent management information, and addresses the overall threat of invasive species in our forests.